Pilates is a physical fitness system which focuses on the core postural muscles that assist in keeping the body balanced and are essential to providing support for the spine. It is a form of exercise that is very versatile. It can be an easy and gentle or a tough and demanding workout depending on your requirement. 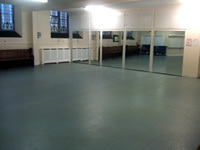 It is therefore suitable for all ages and all fitness levels. Pilates works to improve fitness, muscle tone, strength, flexibility and posture. As such it is a specialist field which is frequently recommended by Doctors, Physical Therapists, Chiropractors and other medics as a form of rehabilitation exercise for treating muscle pain, injuries and postural imbalances, a key contributor to back and neck pain. It has had impressive results for athletes and sportspeople in terms of improving sporting performance and currently we provide this service to a number of prominent Gaelic and Rugby Football Clubs in Dublin. It is similarly effective in the areas of weight loss management and reducing stress. 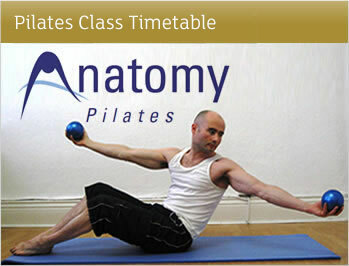 Each Anatomy Pilates Instructor is a STOTT PILATES® Certified Instructor. STOTT PILATES® is a contemporary approach to Pilates which includes the modern principles of exercise science and spinal rehabilitation, making it one of the safest and effective methods available. The standards required to become a STOTT PILATES® Instructor are therefore very high to ensure the safety of participants. Each instructor must achieve a grading in excess of 80% in an independent examination before being approved to teach STOTT PILATES® and must participate in continuous development thereafter in order to remain certified. Furthermore, the lead Anatomy Pilates Instructor is also a qualified Physical Therapist and Fitness Instructor hence he can conduct classes for people with injuries or other issues requiring special attention. At Anatomy Pilates, we deliver a range of Pilates Classes in Clontarf and Malahide and cater for all fitness levels from beginners to intermediate and advanced students. Our Instructors are qualified to deliver Special Programmes such as Pre/Post-Natal Pilates, Pilates for Elderly Clients, Pilates for Injuries and Rehabilitation or Sports-Specific Pilates. Tuition is available through classes, via ‘One-to-One’ Tuition or Small Group Sessions depending on clients’ needs and preferences. 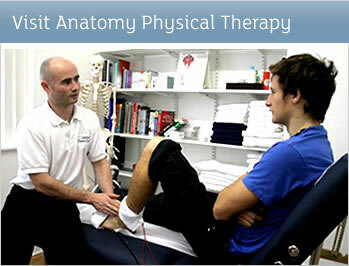 Anatomy Pilates is a sister site to Anatomy Physical Therapy. For further details click on the link provided. © 2010 Anatomy Pilates. All Rights Reserved.